Need Continuing Education Units (CEUs)? If so, you’ve come to the right place! 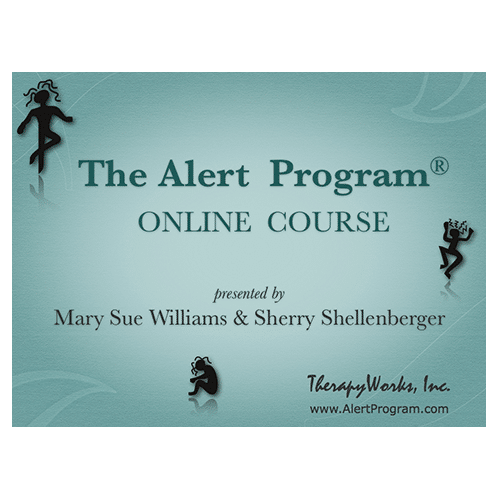 You can choose to receive CEUs for reading our books, watching our webinars, or taking the full Alert Program® Online Course. 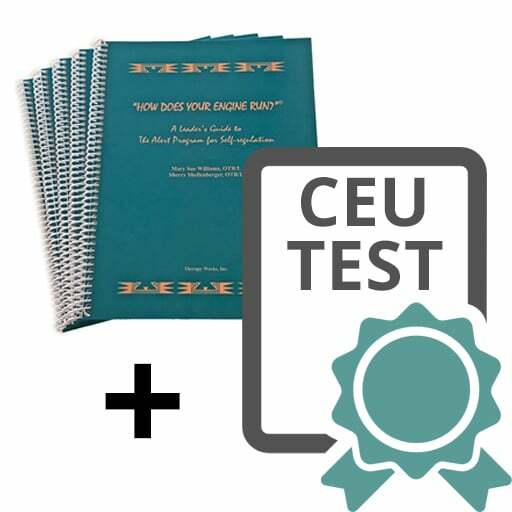 Then, you simply take the CEU Test, score 70% or higher, and you’ll receive your Certificate of Completion. 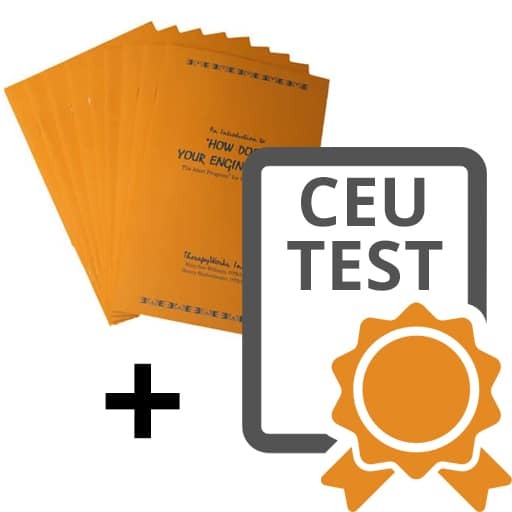 Take the CEU Test without any stress! To make sure your “engine” does not go up into high gear, you can re-take any of the CEU Tests at no additional cost, if needed, to pass. 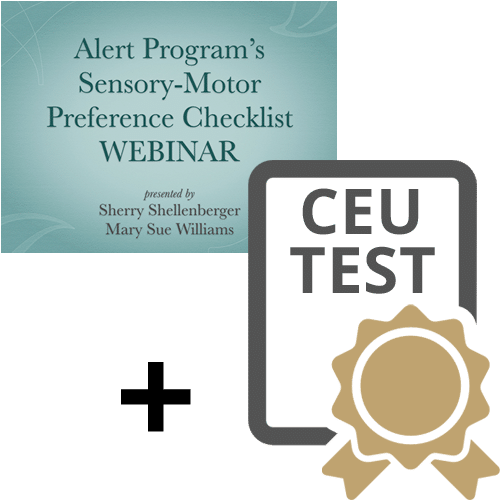 Buy the webinar + CEU Test. Parents or teachers? You can buy the webinar without the CEU Test. 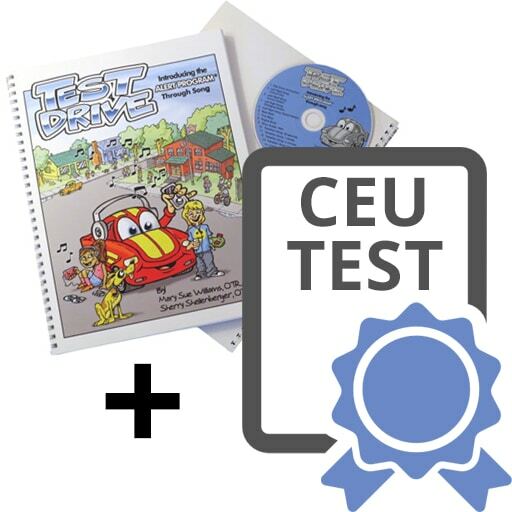 Buy the book + CEU Test. Have your own book? Then, just buy the CEU Test. 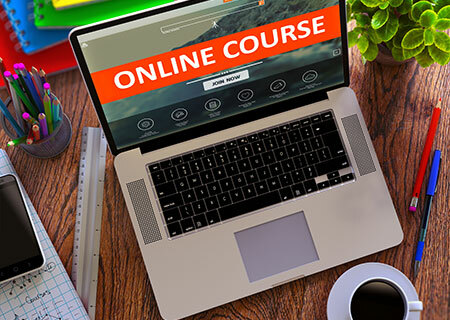 Buy access to the full course. Want 20 contact hours? We’ll help you stay alert while learning! 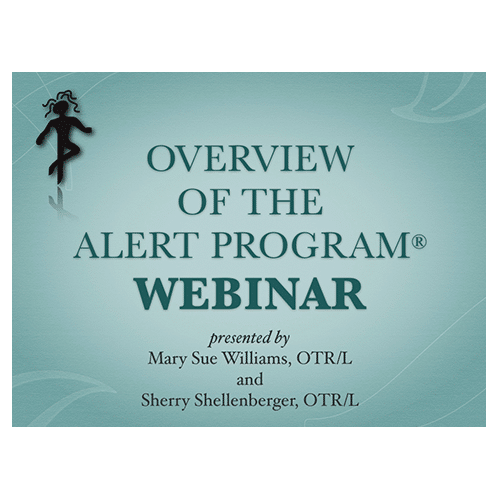 Spend an hour with the authors and learn, in a nutshell, about the Alert Program® while earning CEUs. You can purchase a webinar with the CEU Test to earn one contact hour of continuing education. 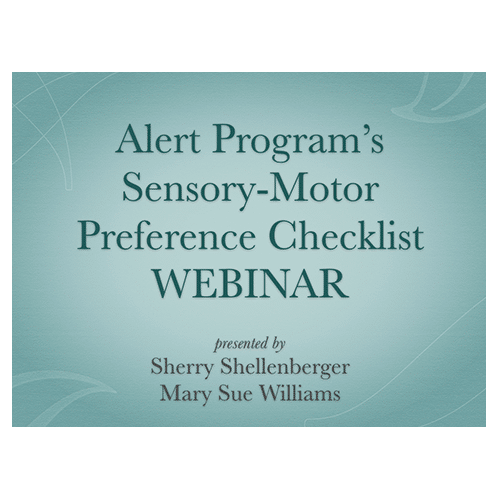 If you are working with clients, you can encourage parents, teachers, or other team members, who do not need CEU credit, to purchase just the webinar (view only). 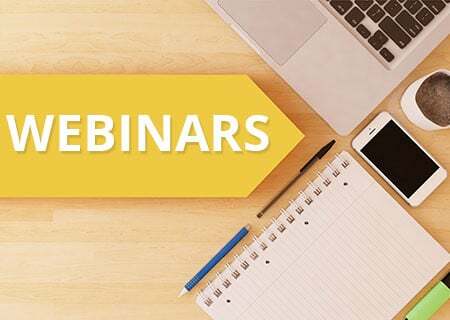 The authors sure stand by the promise of “self-regulation made easy!” with these engaging, light-hearted, and easy-to-follow webinars. Save a bundle with our CEU Test and product combination packages! You’ll receive the Alert Program® product AND the CEU Test so you can earn credits for reading/watching/listening to our products. Click below to order the product(s) and corresponding CEU Test(s) that fill the bill for your continuing education! Not only do we make self-regulation easy, we make earning continuing education credits easy, too! These CEU Tests are designed for our customers who already have their Alert Program® book(s). 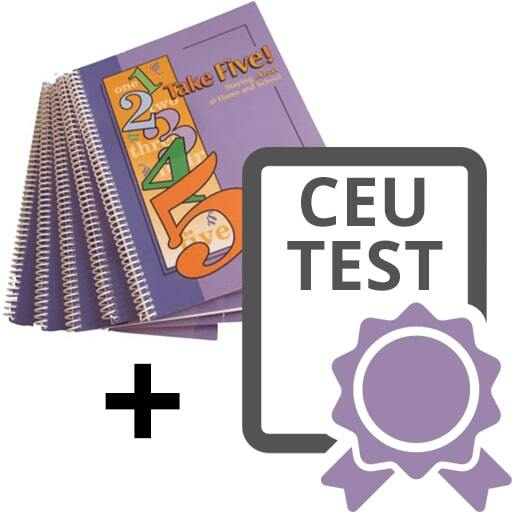 Click below to order the corresponding CEU Test(s) for the Alert Program® products you already own. 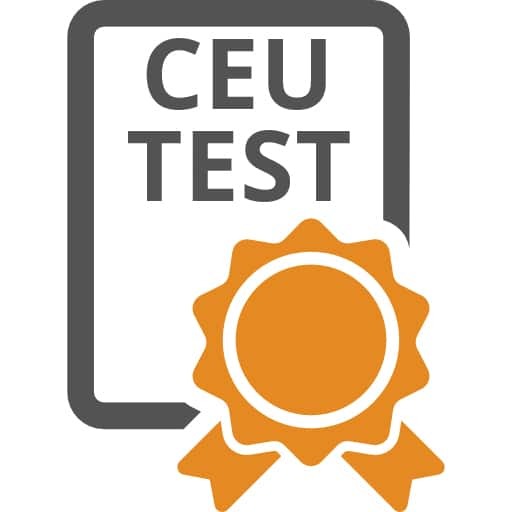 You’ll receive a receipt with a link to the CEU Test so you can “hit the ground running” to earn your continuing education credits. What a simple way to receive continuing education credit for an Alert Program® book you’ve already read or want to review again! 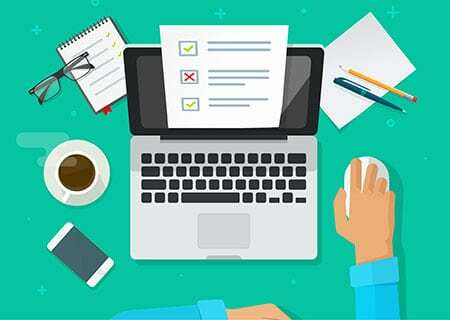 Note: We are a proud AOTA Approved Provider for continuing education, yet, we encourage you to double check with your state licensure board to confirm CEU approval.